Surface damage and deterioration on the door frames can leave your patio door looking dingy. Check if the door is chipped or showing signs of rot, or if the surface of the door is peeling or blistering. Talk to a door contractor to determine if this type of damage can be fixed with paint or refinishing. If not, get a new one. Patio doors can become warped due to age or damage and become difficult to open or close. If your patio door sticks or makes loud noises when used, then it may be past its prime and the best course of action will be to replace it. Moisture developing within the glass panes is a clear sign that the glass of the patio door is compromised. This glass is responsible for regulating the temperature in your home by limiting thermal transfer. A failing glass structure will only hasten the door’s eventual deterioration. We offer a variety of patio doors for your home. These contemporary sliding doors feature dual ball-bearing rollers with self-contained leveling adjusters for easy operation. They also contribute significantly to energy efficiency, thanks to our exclusive Fibrex® frame material coupled with High-Performance™ Low-E® glass, which provides a solid strong thermal barrier. 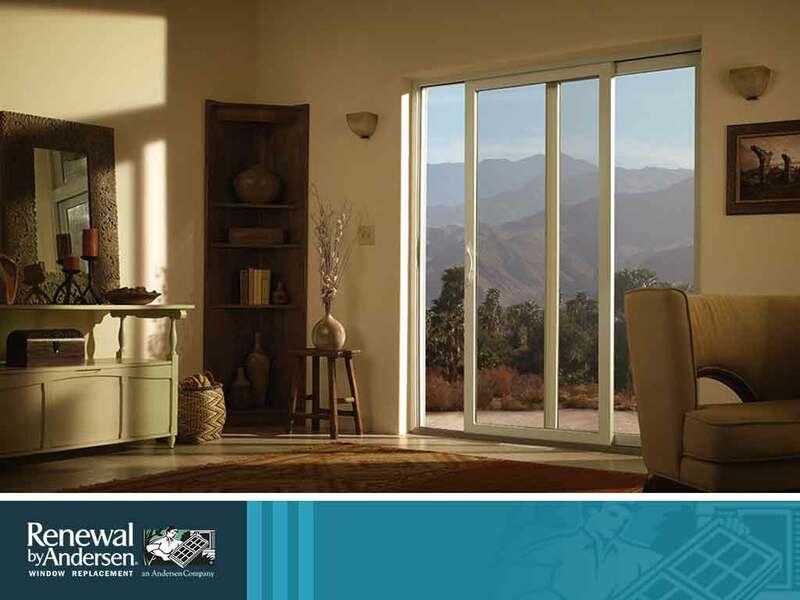 Turn to Renewal by Andersen® of Central Florida for your door and window needs. Get started with a FREE estimate today by calling (407) 641-5753 or reach us through our contact form. We serve homeowners in Winter Park, FL, and the surrounding communities across Florida.